This evening a couple of friends are coming over at our place so I prepared the tart but single-portioned. I used silicone bakeware. make sure all the ingridients are organic! wisk together sugar, eggs yolk and melted butter . 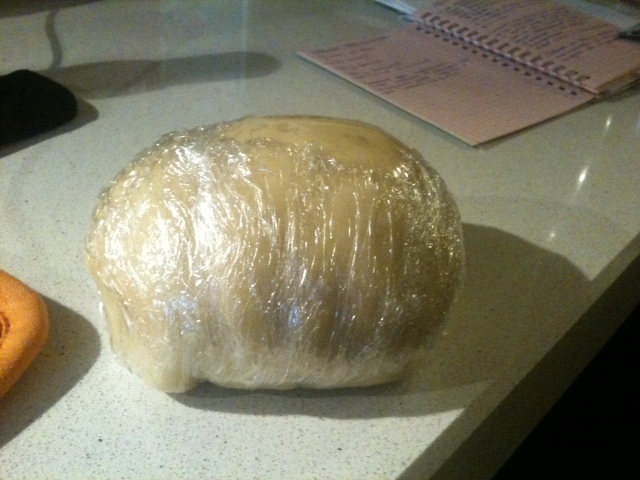 Now add all the flour and the baking powder and mix with your hands for less then a minute. place the dough directly into the pan and give it the shape you want using your hands. Otherwise the dough will break. 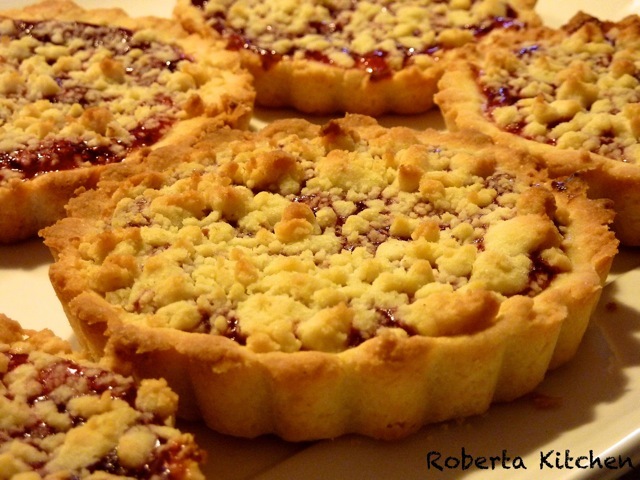 In this case I needed 6 small tart so i cut the dough into 6 pieces and i saved a little amount for the crumbs. so i put the piece I ‘ve cut into the pan and I gave it the shape by using hands. I put on a generous amount of cranberries jam and then I add the crumble on. The jam I used is amazing…It’s made by organic fruits, with no sugar added and no artificial flavor…just fruit and apple juice…. It’s called risoni d’asiago, but I don’t think you will ever find it outside italy!… So, just make sure to use a good quality jam.